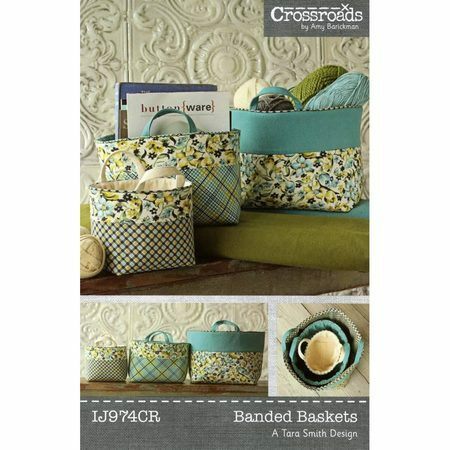 Designed by Tara Smith, this pattern includes complete instructions for creating three nesting baskets. These nesting baskets are perfect for organizations, yarn and travel. Each basket features two short handles, making moving easy. Finished sizes are as follows, Small: 5in wide x 6in long x 6in high; Medium: 7-½in wide x 9in long x 8in high; Large: 10in wide x 12in long x 11in high.